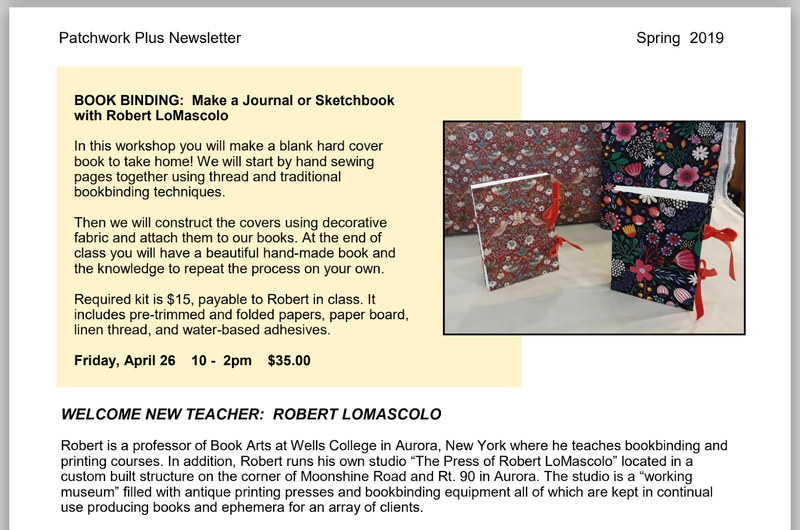 The Press of Robert LoMascolo: Workshop. . . .
New bookbinding workshop at Patchwork Plus in Marcellus, New York! Marcellus is an easy drive from Skaneateles. Details are on the Patchwork Plus website, https://patchworkplus.com/newsletters/. I hope to see you there! Update! The April 26th session is full, but a second session has been added for April 25th. Contact Patchwork Plus for more details.